Zach LeDay only needed 21 minutes to score a 42 PIR in Olympiacos Piraeus win over Buducnost VOLI Podgorica. 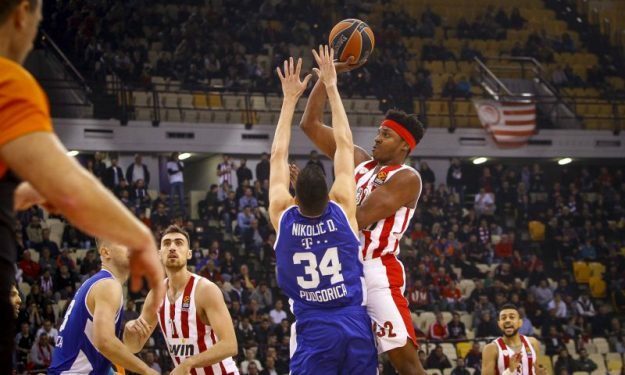 Zach LeDay became the Olympiacos player with the highest PIR in a single game during the modern EuroLeague era last Friday, but that wasn’t it for the 24-year-old American forward. As Arale Weisberg point out, LeDay 42 PIR against Buducnost was the biggest ranking any EuroLeague player has achieved in less the 25 minutes. Here’s the list of the players that scored over 40 PIR in less than 30 minutes. LeDay himself told Eurohoops after the EuroLeague Regular Season Day 10 game that the win is all that mattered. However, he did get MVP of the Week honors and placed his name in EuroLeague’s history books.